While living in Florida my entire life, I developed a true desire to sell Florida Real Estate. Traveling over the bridges throughout the years and being blessed to live in the beauty that surrounded me.... I GOT IT! I understood that owning a piece of Florida Real Estate is truly special. Since joining RE/MAX in 2005 and experiencing the business success that followed, I attribute the rewards from understanding and implementing good communication and paying attention to the finest of details for my customers. 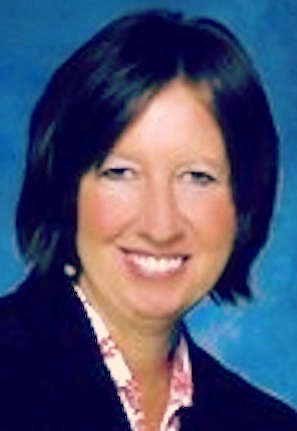 Brenda earned the prestigious RE/MAX Platinum Club Award for outstanding sales in 2011. This selective recognition, presented annually by RE/MAX International, is achieved by less than 4% of all RE/MAX agents. She is also a member of the RE/MAX 100% Club. My goals were obvious! Make Florida Happen! Servicing the needs of international clients from Russia, Canada and Cuba thus far has brought great success. Transactions include a $13 Million sale in Aspen, CO/ $2.7 Million sale in Ponce Inlet, FL/ $1.6 Million sale in Ponce Inlet, FL and more. Understanding customers needs and providing the expertise needed to do so, comes from a Realtor who has lived it and in providing superior service to my customers BEFORE, DURING AND AFTER the transaction is how I build "RELATIONSHIPS FOR LIFE." I also understand and appreciate the importance of the "team effort" with the professionals that I do business with day in and day out. I look forward to being your trusted real estate partner! * Concierge service to clients from my preferred vendor list offering top rated professionals including: builders, attorneys, accountants, pool maintenance, pet sitters, handyman, roofers and many more. Nearly 10 years with Volusia County Schools, primarily working as a Secretary to administrators. Thank you to all the Teachers in our school system working so hard and diligently to make a difference in the lives of all children.